We expect academic excellence from candidates with the view that they must thoroughly grasp the Church’s teaching as taught by the Magisterium. Our intellectual tradition is rigorous and guided by the goal of the pastoral life. 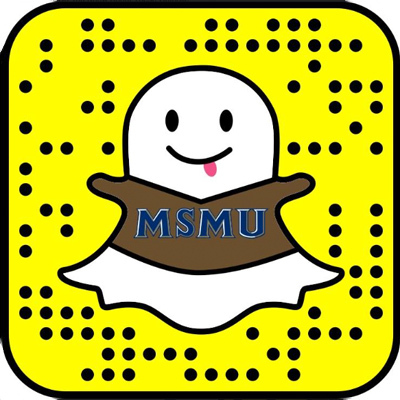 The Mount takes a personalized approach to academic mentoring, providing an array of resources for both advanced students and those who may struggle to meet academic expectations. The purpose of the intellectual formation program is that seminarians grasp the Catholic intellectual and liturgical tradition, are able to proclaim and teach the Gospel of Christ and to communicate the mystery of God to people today, and are equipped for the continuing pursuit of truth, PPF, 136-139. This program embraces both degree and non-degree programs, all of which are supported by our Ordination Formation curriculum which serves as a base for intellectual priestly formation (PPF 191). Seminarians are expected to earn the Master of Divinity degree at the completion of the eight-semester formation program, and may also attempt one of our dual-degree options. A two-year Pre-Theology Formation certificate program is offered for those lacking the prerequisites for the graduate study of theology, during which students may earn the M.A.P.S. degree. Eight-semester array of courses, formation seminars and workshops, practica and assessments, and pastoral field education requirements. Two-year program for prerequisite philosophy and theology. Offered at seminary and university. A first professional graduate degree. Candidates choose from four concentrations. A first-level graduate ecclesial degree offered through affiliation with the Pontifical Faculty of the Immaculate Conception. Specific formation for priestly ministry to the growing Hispanic community in the USA. An accredited support program for non-native English speakers. Hearers of the Word: to know the scriptural texts and biblical theology in accord with sound exegetical methods faithful to magisterial teachings. “The proper understanding of Sacred Scripture requires the use of the historical-critical method, though this method is not totally sufficient. Other methods that are synchronic in approach are helpful in bringing forth the riches contained in the biblical texts” (PPF, 198-200). Proclaimers of the Word: to preach the Word of God in accordance with sound principles of biblical interpretation and sound catechesis as well as the practical skills of preparing and delivering homilies (PPF, 138-139, 200). Catechists: to understand, proclaim, and expound the faith to others grounded in an in-depth understanding of the Creed, its biblical, historical, and dogmatic richness, and particularly our belief in one God in three Divine Persons: Father, Son, and Holy Spirit. 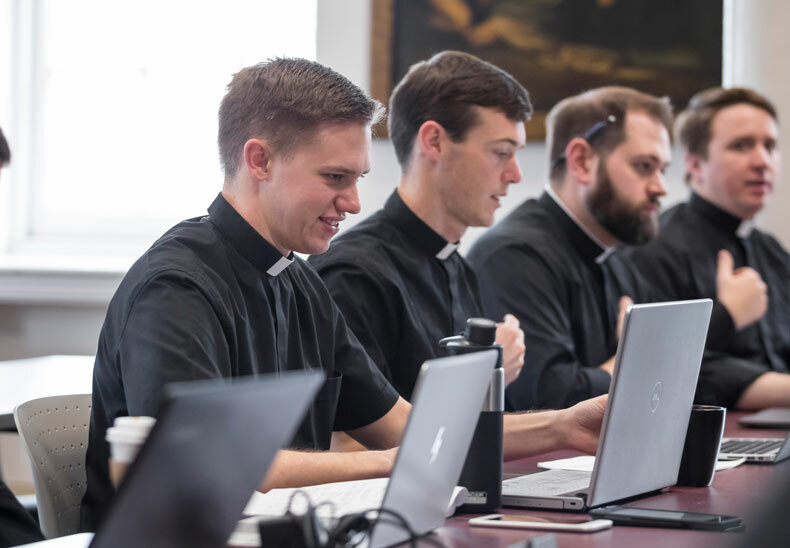 “The doctrinal, educational, catechetical, and apologetical aspects of a candidate’s training are to prepare the seminarian to be a faithful, loyal, and authentic teacher of the Gospel” (PPF, 139, 203, 230). Followers of Christ: to have a sure knowledge, understanding, and appreciation of the words and deeds, indeed the person, of the Lord Jesus Christ, who is the revelation of God to all men and women (PPF, 137). Faithful to the Church: to distinguish the normative function of the Magisterium from the ecclesial role of the theologian, the truths revealed by God and contained in the deposit of faith from their theological mode of expression. “The education of a priest is never seen in isolation from the Tradition of the Church” (PPF, 139). Culturally Aware: to grasp and teach others the truth about the Church and its role in the world as well as to understand the world, the signs of the times, in which the message of Christ is preached, especially the increasing diversity of cultures in the US ministerial context and the increasingly global context of the ministry and theology (PPF, 228). Historically Aware: to appreciate and help others to grasp the rich history of the Church through its 2000-year existence, to understand its efforts of evangelization, its sad divisions and controversies, its famous and infamous figures, and how it has come to assume its current position in the world and, in particular, in the USA (PPF, 210). Ministers of the Sacraments: to understand the identity of the priest as a sacramental representation of Christ, Head and Shepherd of the Church (PDV, 15), and, having a thorough knowledge of liturgy and sacramental theology, law and practice, to be prepared to celebrate the liturgy as ministers of Christ through the Holy Spirit on behalf of the Church (PPF, 214). Promoters of Marriage and Family: to minister to those seeking marriage with professional competence in Canon Law, well prepared and delivered marriage preparation, thorough familiarity with the Rite of Marriage, and a solid and persuasive presentation of the Church’s teaching on the vocation and moral responsibilities of marriage and family (PPF, 218). Moral Teachers and Guides: to explain faithfully and persuasively, and to defend effectively, the Church’s teaching on the moral life; and to assist in the formation of conscience and celebrate the Sacrament of Reconciliation (PPF 204-207). Advocates of Justice: to understand and promote the Church’s teaching on social justice and the Church’s role in the struggle for justice, peace, and the inviolable dignity of human life; to understand and promote Church teaching regarding medical ethical issues especially concerning the beginning and end of human life. (PPF, 204-209, 229). Ecumenically Sensitive: to have a critical and fair evaluation of the teaching of other churches and religions (PPF, 163) as well as a practical understanding of ecumenism and of the Ecumenical Directory in particular (PPF, 216, 224). Motivated for Ongoing Intellectual Formation: to have the habit of reading theology and theological reflection, the capacity for a critical reading of theological materials, and a recognition that “continuing education after ordination is a necessity” (PPF, 138, 227). To ensure academic achievement we offer an advanced technology infrastructure, writing specialists, student-to student tutoring, and a Learning Skills Department that can help identify and address learning challenges. The Seminarian Handbook gives detailed information about Formation Advising, Academic Norms, MAPS procedures, Pastoral Formation, the SGA Constitution, etc. The Rule of Life contains information regarding Spiritual and Liturgical life in the Seminary, as well as details on various Practices within the Seminary Community. Learn more about this support program for our international seminarians. Learn more about such policies as Academic Integrity, Grading, and Transcripts/Grade Reports. Find out how seminarian achievement is recognized through Academic Honors, as well as Memorial Awards and Prizes.